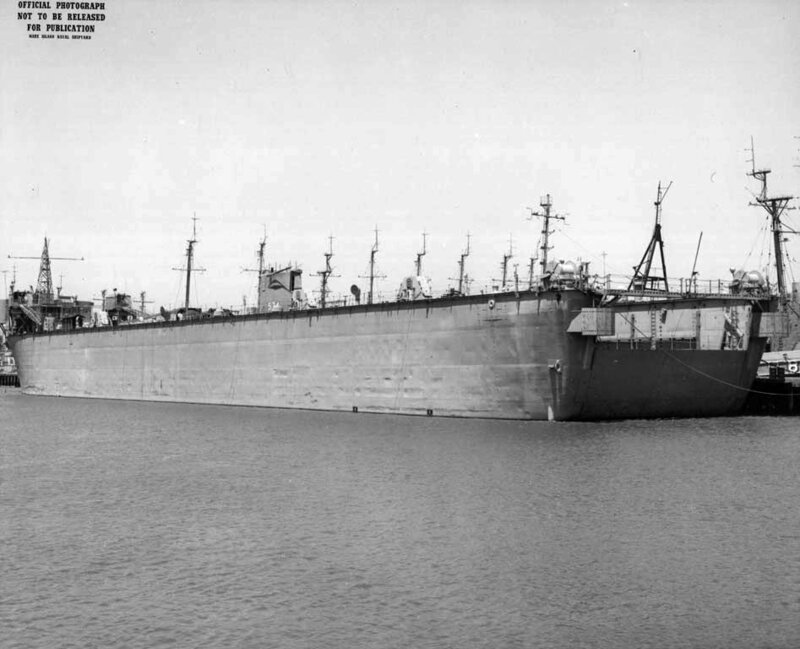 107k USS ARD-10 photographed soon after commissioning, circa October 1943. 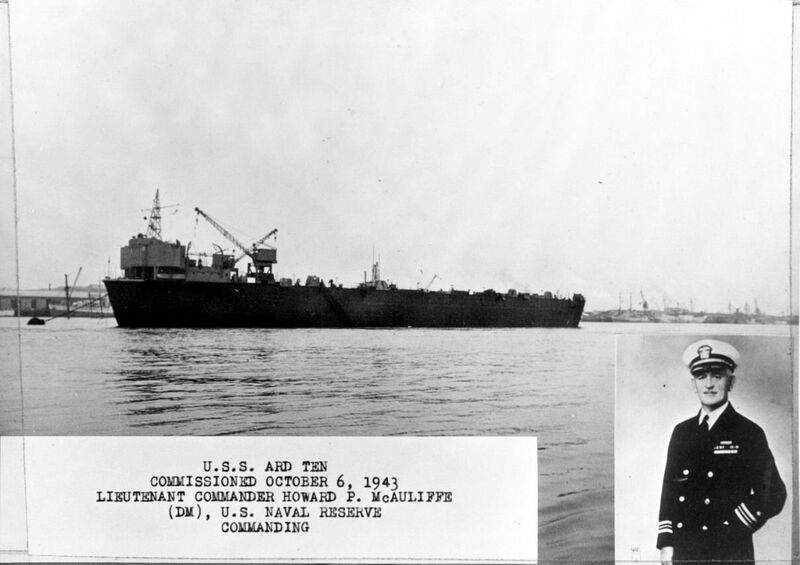 A portrait of her first commanding officer, Lieutenant Commander Howard P. McAuliffe, (DM) USNR, is inset at lower right. 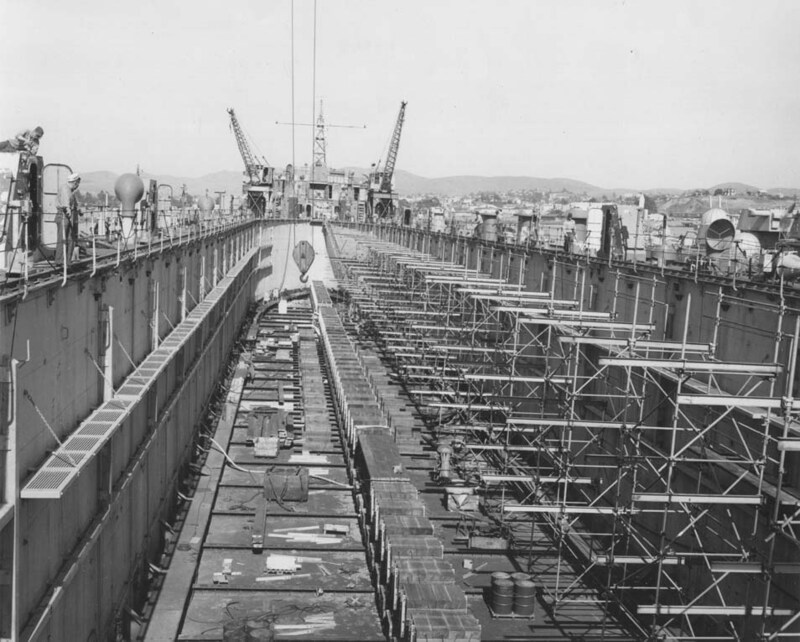 116k USS ARD-10 receiving a new paint job at Mare Island Naval Shipyard, Vallejo, CA, in a clipping from the 13 March 1962 edition of the shipyard newspaper "Grapevine." ARD-10 at this time was part of the Pacific Reserve Fleet. 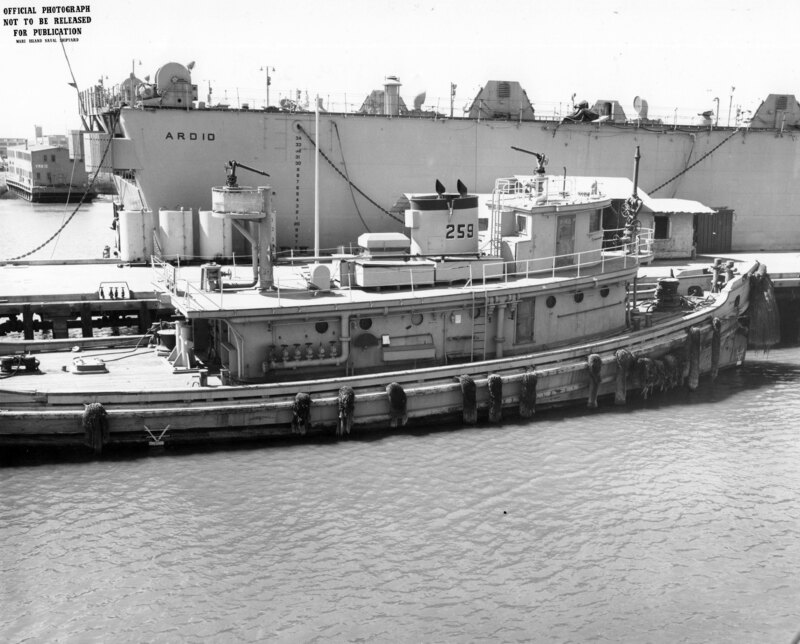 71k USS ARD-10 at Mare Island Navy Yard with an unidentified submarine in her dock, date unknown. 1598k Arivaca (YTM-259), ARD-10 in the foreground and YRB-15 in the background, berthed in the reserve fleet area on the north end of Mare Island Naval Shipyard, 09 September 1963. 107k The former ARD-10 at left, in service at Tampico, Mexico, circa 2013. 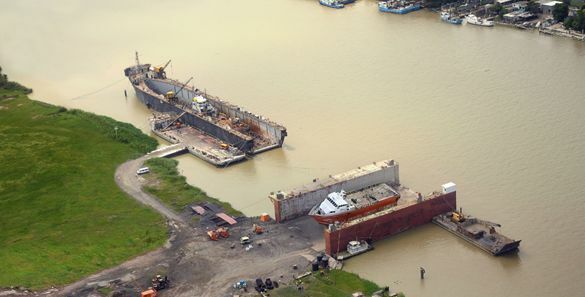 Photo from Astilleros Internacionales de Tampico website.